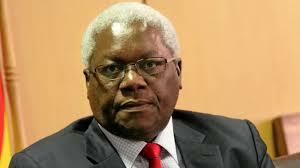 FORMER Finance Minister Ignatius Chombo was yesterday issued with a warrant of arrest by a Harare magistrate after he failed to attend court. Chombo is reportedly ill. He is accused of wearing Zanu-PF regalia without authority and his trial was moved to February 1. Harare magistrate Mr Hosea Mujaya said some people were defaulting courts willingly and plead for an administrative warrant. Mr Mujaya said there was nothing called an administrative warrant of arrest. Chombo and his three accomplices, who included Kudzanai Chipanga and Innocent Hamandishe, allegedly posted pictures of themselves on social wearing Zanu-PF regalia emblazoned with President Mnangagwa’s initials and the ruling party’s flag.